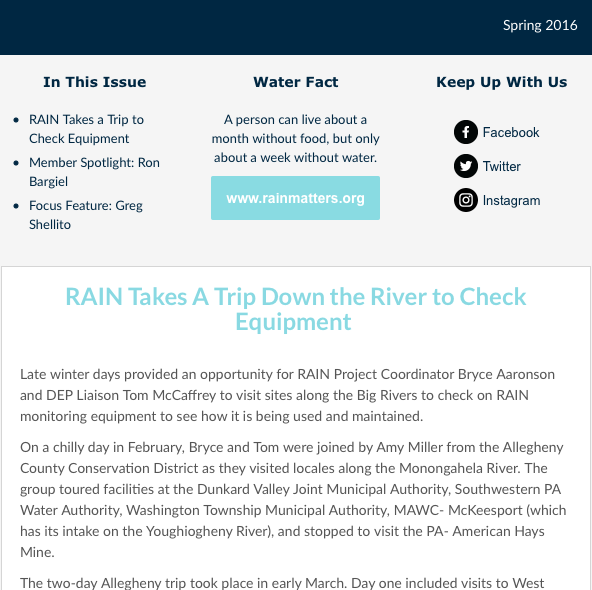 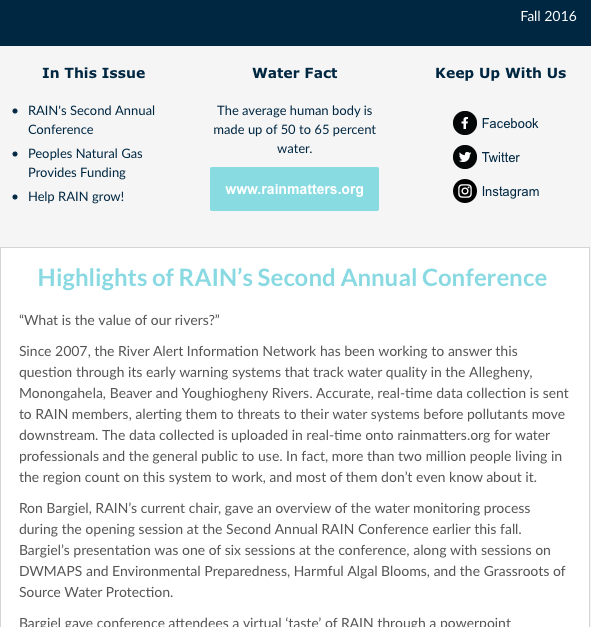 RAIN's newsletter is published quarterly and includes news on the Early Warning System (EWS) designed to identify river pollution in the Upper Ohio Basin, source water protection, and other news aimed at providing resources and information aimed towards water suppliers and others dependent on clean and available source waters in the Basin. 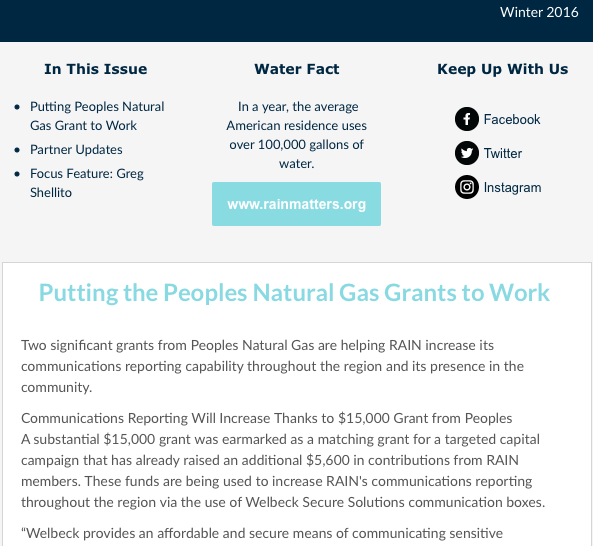 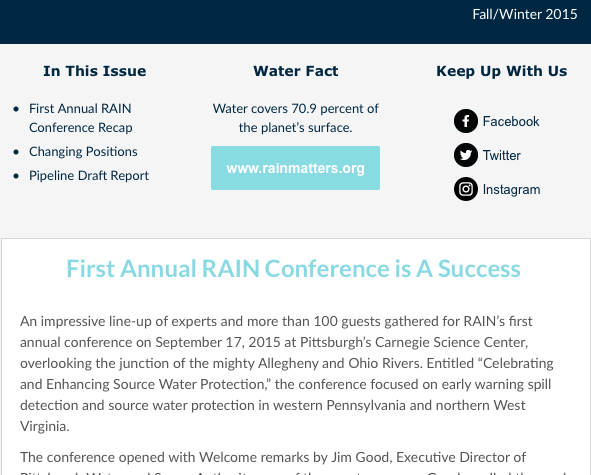 RAIN hopes to expand this newsletter as the member base grows. 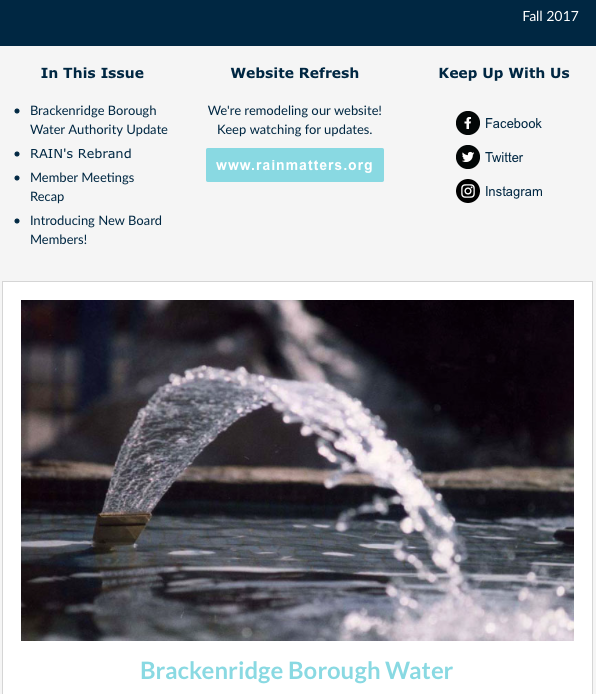 If you are interested in joining our mailing list, sign up below.